YANGON — A pioneering workshop for film preservation techniques aiming to raise awareness about the deteriorating situation of old Myanmar film reels and to teach best practices of maintaining them was held in Yangon this week. The two-day workshop—the first of its kind in Myanmar—was organized by the Save Myanmar Film team in cooperation with Unesco’s Memory of the World Committee for Asia and the Pacific (MOWCAP). 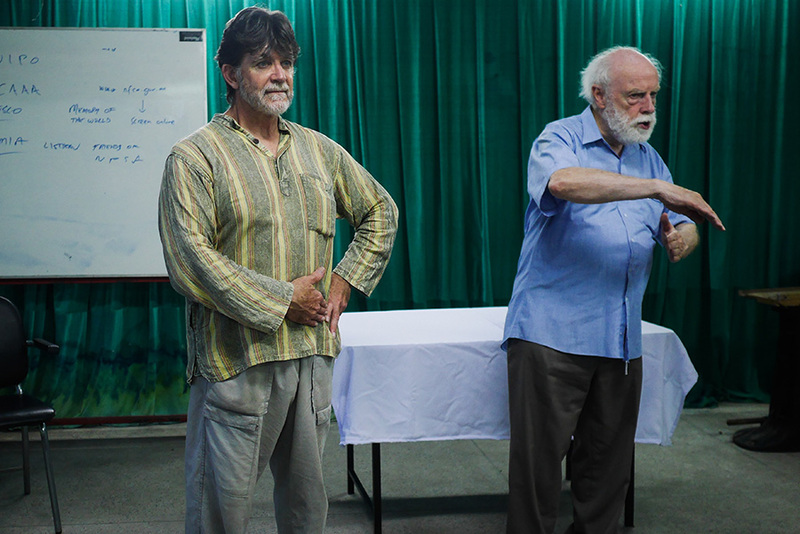 Fifteen participants including four government officials from the Ministry of Information’s Motion Picture Development Branch attended the workshop, coached by two well-known archivists from Australia, according to Save Myanmar Film. Save Myanmar Film is a project that seven local filmmakers launched earlier this year to raise awareness about audio-visual restoration of films and film-related materials including posters, scripts and photographs. Maung Okkar, a member of Save Myanmar Film, said the workshop is an important first step for archiving, restoring and digitalizing film reels in the future. Myanmar started making films in 1920 and hundreds of black-and-white films, including silent ones, were produced. The period from the 1950s to the 1970s is still viewed by many as the industry’s “golden age,” with local filmmakers producing nearly 100 original films each year on average in a competitive market. Together with hundreds of news and documentary reels from over the past decades, there are only 12 black-and-white and 127 color films currently housed at the Film Archive office situated in commercial capital Yangon and some reels are in danger of deteriorating, according to U Bhone, caretaker of the vault. Many reels are damaged every year at the archive vault due to outdated preservation techniques. Ray Edmondson, an award-winning audiovisual archivist and one of the two instructors at the workshop, told The Irrawaddy that the archiving system in Myanmar is still in its early stages. However, awareness raising and capacity building would make people informed about what is happening and what is missing, he continued. Edmondson said cinema is a part of Myanmar’s national memory and identity, which must be looked after. Those who work in film preservation need commitment, enthusiasm and persistence, he explained. “It is not a field [in which] we get rich. You don’t get famous. You don’t get anything… You do it because it matters,” Edmondson said. U Han Linn Aung, a workshop participant and an assistant director at the Motion Picture Development Branch, told The Irrawaddy that such an opportunity is valuable to him because he could relay his knowledge of film preservation techniques to future generations of cinema lovers so that they could develop them further. He feels nostalgic whenever he sees film reels, he said, as he worked in a motion picture department for more than two decades. “Film reels speak to us about many things—histories, diverse cultures and many more things that we weren’t there to witness,” he said.